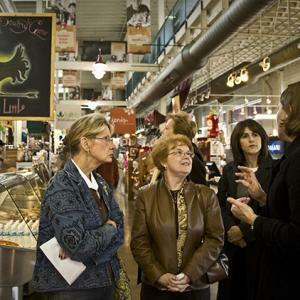 As a foodie city, Columbus has a variety of culinary tours available to groups, many run through Columbus Food Adventures, that range in style based on neighborhood, cuisine and type of experiences. 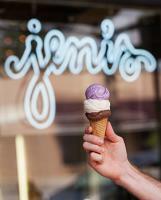 A fan favorite neighborhood tour takes place in Columbus&apos; German Village. During this four hour tour, participants will traverse two miles along scenic brick-lined streets and enjoy the taste of American fine-dining at Lindey&apos;s; seasonal fare at G. Michael&apos;s Bistro; classic deli sandwiches and traditional Jewish dishes at Katzingers; and of course, food from the neighborhood&apos;s namesake, classical German eats at Schmidt&apos;s, known for its giant cream puffs and appearance in Man vs. Food. For those who want to travel all over the city and experience the best desserts it has to offer, regardless of location, the 3-hour All Dessert Tour includes stops at Bake Me Happy, known for its gluten-free delicacies; Dan the Baker&apos;s, known for sourcing local, seasonal ingredients; Pattycake Bakery, for some incredible whoopie pies; the famous Jeni&apos;s Splendid Ice Creams, where the salty caramel is a must-have; and then finishing off with a delectable dessert cocktail at Cameron Mitchell&apos;s M at Miranova. Of course, private tours can be personalized for the needs of any group and those who prefer craft beer to new culinary endeavors can take a Columbus Brew Adventure tour. Culinary tours and foodie events are also available through A La Carte Food Tours, and for ice cream lovers, Velvet Ice Cream is open for free factory tours May 1-Oct. 31. For planners interested in learning more about the Columbus food scene, we are offering a 24-hour hosted visit on November 3-4. 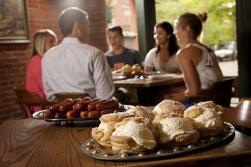 During the brief stay, guests will take part in memorable first-hand experiences to engage in Columbus&apos; emerging cocktail and coffee scenes, and have the opportunity to partake in a Columbus Food Adventures tour. For more information, please visit our FAM tour page.